From the Congressional Research Service Central America report listed below. U.S. Government Accountability Office, May 1, 2017. GAO looks at the Homeland Security Department’s efforts to detect and curb these unorthodox methods of smuggling across the U.S.-Mexico border, all of which appear to have declined in frequency since 2011. 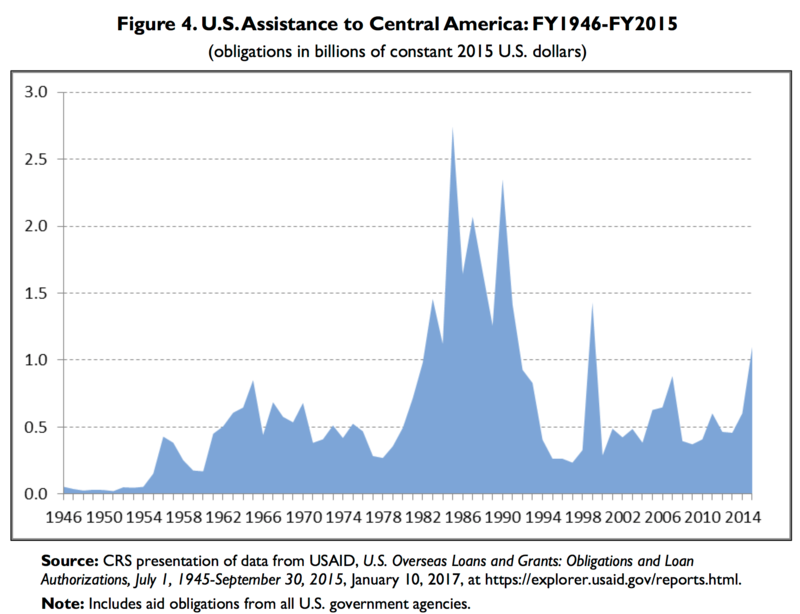 A regular update on U.S. assistance to Central America. This does not reflect the 2017 appropriation that became law on May 5. A regular update on the main organized crime organizations and dynamics in Mexico, and the strategy being employed to confront them. U.S. Congress, May 5, 2017. The narrative accompanying the 2017 State Department and Foreign Operations Appropriations bill. Here, Congress directs how a lot of foreign aid money should be spent. I pulled out 13 clips from this report, and 4 clips from the text of the law, that appeared relevant to U.S. security assistance to Latin America. See also the explanatory statement for the 2017 Homeland Security Appropriations bill from which I drew 2 clips (and 3 clips from the law).